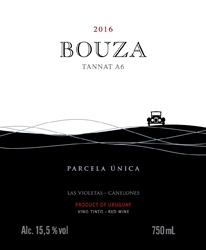 This intensely fresh wine is a blend of Duras, Braucol and Syrah in a textured, stalky style that is tight and layered with tannins. It's certainly young, still bursting with fruit and needing to fill out as its tannins soften and its black currant fruit calms down. Then it will be a fascinating, complex wine, elegant and poised. Drink from 2018.